New York winters are tough. For me, gone are the days when I will brave the snow and dirty mush for sculpted heels and fancy boots. First of all, I don’t want to ruin my shoes and after an injury last winter, I don’t want to fall and break any more ribs! When I’m home in NYC, especially during January and February, you’ll find me in Lululemon pants, a cozy hoodie, APL running sneakers, and a baseball cap. My style has definitely gotten more casual over the past year. Comfort, especially when it comes to footwear, has become a huge priority since I walk so much in the city. My environment has shaped my style in so many ways. I’m a chameleon-slash-sponge and tend to absorb style cues from my surroundings. I take the subway to get inspired and see what people are wearing. I LOVE to observe what others are wearing, especially the younger generation. And is red the new pink?! I am currently craving athleisure wear. How to wear athleisure wear outside of the gym. It’s been fun experimenting with my version of more of an “athleisure” look. Last Friday, I paired an oversized sweatshirt with fishnet tights and boots. When it is really cold, I wear sleeker leggings and cool rose gold sneakers. 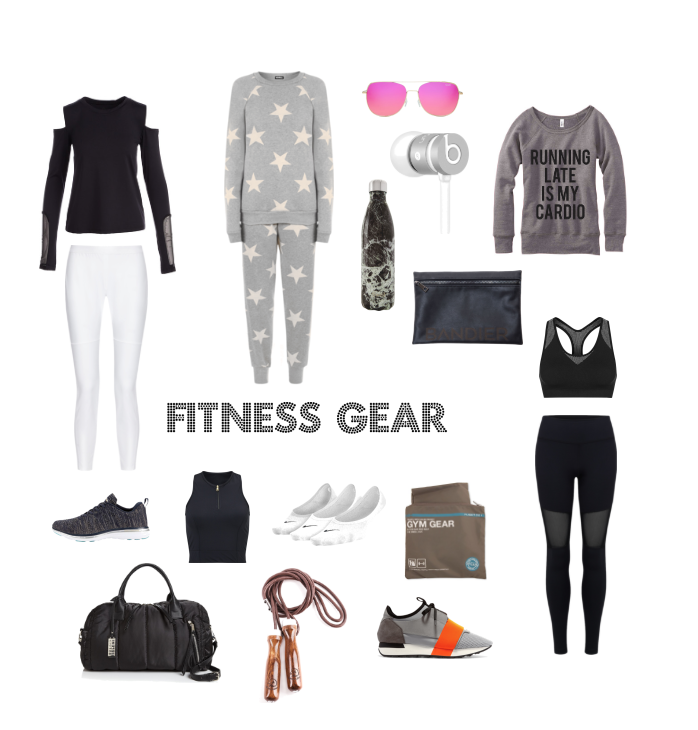 My go-to favorites are from athleisure brands like Lululemon, Adidas, Ivy Park, or Bandier for new up and coming brands. Besides that, my day-to-day uniform as a stylist and mom requires so much running around and schlepping that I tend to dress accordingly. I am quite aware of the trends and cognizant of what people are wearing on the street, but I don’t like to conform to the seasonal styles because everything changes so constantly. I channel my inner swag and know that it translates to my personal style. I’ve bought a ton of sports bras lately and love the fit of the alo. I tend to wear more color on top, and less on the bottom. These are my favorite leggings for running around town. These APL sneakers are the bomb for working out or everyday errands. I wear hoodies when I don’t know what else to throw on. I have never been a gym bag person and prefer using this custom made bag or this black leather tote which holds everything.